"an unearthly giant. … The head of Helgamite stretches out of the earth’s atmosphere and high into the cosmos, looming in space where the sound of heavenly bodies becomes transmuted into spacious ambience, buzzing, humming and planetary heaviness." 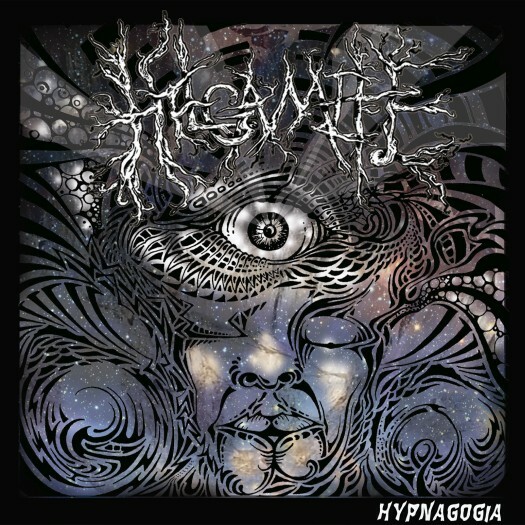 The band’s second album, Hypnagogia (which, by the way, is the mind’s transit state between being awake and being asleep), is like a journey through a dreamlike landscape, to commune with, and glean knowledge from this giant. This giant isn’t always the most friendly, and the journey doesn’t always go as planned. 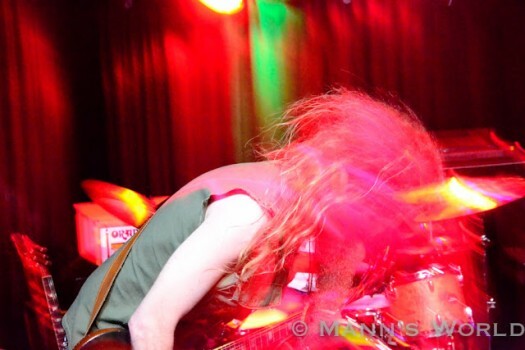 The album begins with a creeping, effect-laden riff, that segues into a thunderous roar. 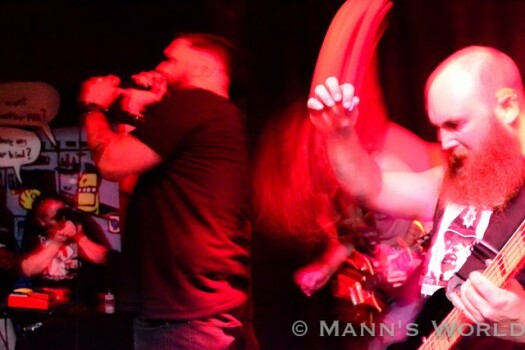 Vocalist William Breeden, whose voice is almost always buried under layers upon layers of effects, sounds like that unearthly giant, and sounds really angry at having been disturbed. Hypnagogia swirls and soars with buzz saw guitars, off-the-rails slide guitar, discordant feedback and enveloping blast beats. Just when you think you know where this journey is headed, guitarist Casey Firkin swoops in with, of all things, a crazy squawking saxophone. Helgamite specializes in keeping the listener off-kilter through a series of freak outs interlaced with pummeling blackened doom. When Hypnagogia ends on the same creeping riff on which it began, it feels like the journey has some full circle.